If you are in need of tree climbing services in Lakewood, WA from an arborist who is experienced in pruning large trees, you are at the right place! Hunter's Tree Service is a leading tree company that has been servicing the community since 1976 to meet all sorts of tree trimming needs here. We specialize in trimming tall trees, a job that requires as much expertise in tree climbing as in tree pruning. Whether you need the large trees on your property trimmed to improve their aesthetics or to remove their diseased, dead, and hazardous branches, we have you covered. Call us today to discuss the tree climbing services you need in Lakewood and get a free estimate for your job. 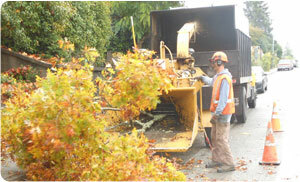 It is best to hire experts like us for pruning large trees in Lakewood. We are staffed by ISA certified arborists who know how to trim back a tree safely, no matter how tall it is. Our technicians come to the job with extensive tree climbing training and use advanced tree climbing gear to scale huge trees. They maintain full control over themselves and their tools while pruning large trees. 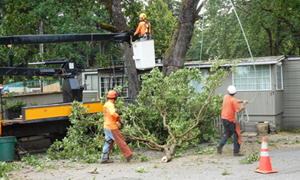 Our experts can be trusted for trimming tall trees without incident. Why Choose Us for Trimming Tall Trees in Lakewood? It is extremely important to choose the right professionals for trimming tall trees on your Lakewood property. You should never sacrifice quality for the sake of economy. Saving a few dollars by hiring a novice can cost you big in the end if your trees or property end up getting damaged because of inexpert or negligent technician. Looking for tree climbing experts for pruning large trees in Lakewood? 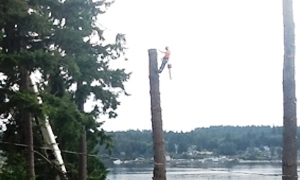 Call Hunter's Tree Service at 253-777-1938.